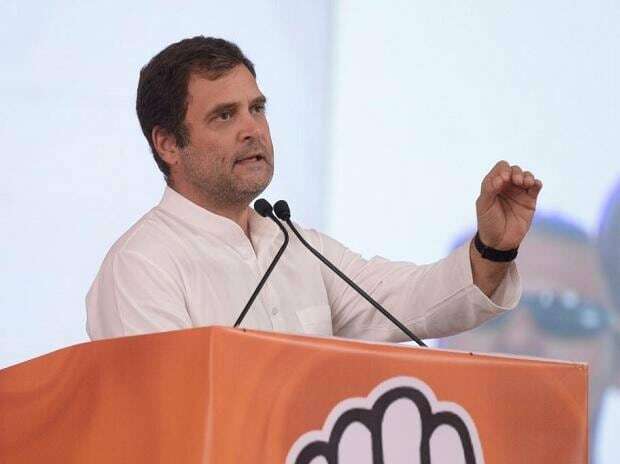 A day after Prime Minister Narendra Modi laid foundation stone of a Kalashnikov manufacturing unit in Amethi, Congress president Rahul Gandhi on Monday accused him of being a ‘habitual liar’. He asserted that the Korwa ordnance factory, which Modi visited to inaugurate a new manufacturing unit for AK 203 assault rifles, had been producing small arms for a while. “Prime Minister, the foundation of Amethi’s ordnance factory was done by me in 2010. For the past several years, it has been producing small firearms,” Gandhi said on Twitter. "Yesterday you went to Amethi and, as usual, lied. Don't you feel ashamed at all?,” the Congress president tweeted. Modi on Sunday said the guns produced in the new facility would be used to fight terrorists and the Naxals , and that the project was the best example of his government’s ‘Sabka Saath, Sabka Vikas (together with all, development for all)’ motto. Rahul Gandhi has been representing the Amethi constituency in the Lok Sabha since 2004 and before him his mother Sonia Gandhi held the seat for one term.